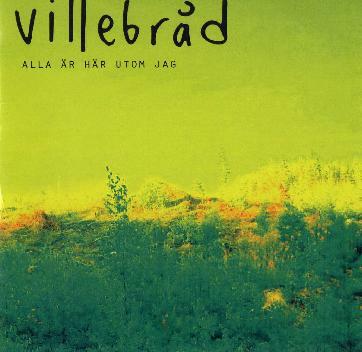 Villebråd - "All år hä utom Jag"
Villebråd are a Swedish band from Uppsala, Sweden. They have been around since late 2004. The band's driving force is the brothers Erik and Påhl and they are joined by David on bass. The music is a strange mixture of things. I guess you would describe it as progressive rock but with poppy aspects. The songs are all sung in Swedish as well. The musicians are all very good players and they clearly are experimenting with different approaches to making progressive rock music but with a more commercial or melodic feeling. This is a hard CD to get into at first but it has some excellent tracks. For more information you can visit the Villebråd web site at: http://www.villebrad.com.